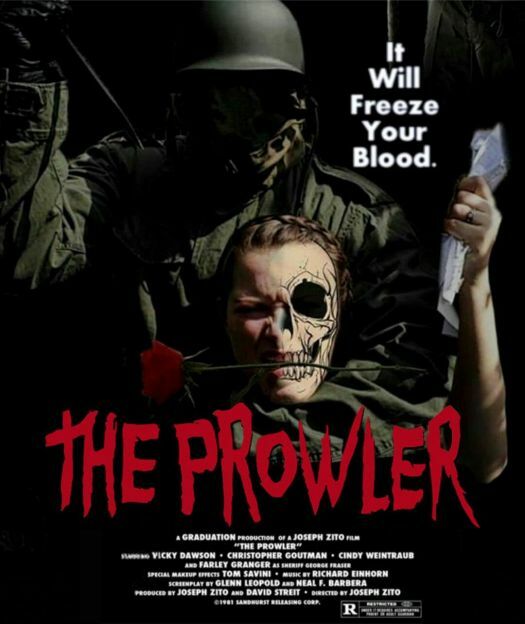 While flipping through the channels late one Saturday night, I came across a title called THE PROWLER. It was not a remake of the 1951 film noirdirected by Ida Lupino and starring Van Heflin and Evelyn Keyes, but a slasher shocker with a couple of noir icons in the cast, namely Lawrence Tierney and Farley Granger. Intrigued by this, I decided what the hell, let’s give it a watch! And though Tierney and Granger are in it, their screen time is limited, and I discovered the real star of this film is makeup/special effects wizard Tom Savini. 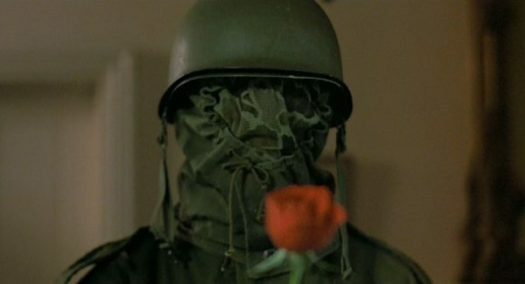 This entry was posted in Film, Film Review, Horror and tagged 80s Horror, Cracked Rear Viewer, Farley Granger, Gary Loggins, Joseph Zito, Lawrence Tierney, slasher, The Prowler, Through the Shattered Lens, Tom Savini. Bookmark the permalink.